Every time I see a tutorial posted there is always a portion of it that says "with supplies I had on hand". I'm guilty of this too. Some of us have been crafting for so long that the supplies start to accumulate. This can be daunting for a newby crafter so I thought I would put together a Top 10 list of the craft supplies I use the most. This is probably the tool I use the most. I have a mini and a full size (mini is the most used and I've had it since high school) I make hair bows so that is where I use it the most, but I find a way to use it almost every day. You know it's an addiction when your 5 year old's answer for anything broken is "let's hot glue it, Mommy". She's my little crafter-in-training. I'm not talking about some big fancy smancy machine. 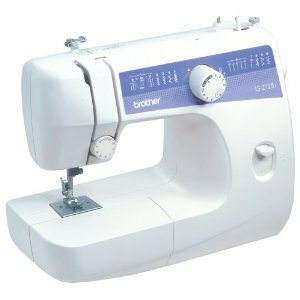 I was sewing for almost 15 years before I upgraded from my parents old Singer to a Brothers Embroidery/Sewing machine. I just got my serger this year. Even if sewing isn't your thing, once you have a basic machine (they start around $50) you can sew throw pillows, fix rips and hem things. Who knows you might find out you really enjoy sewing. 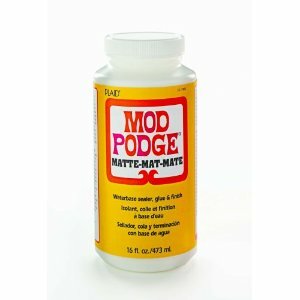 Mod Podge is something that I just discovered a couple months ago. I love trying to figure out new ways to use it. I'm still new to Mod Podge but I know it will be a long term favorite. No, scissors aren't scissors. It you do a lot of crafts with fabric you will probably want to invest in a good pair of fabric scissors. It just makes like that much easier. 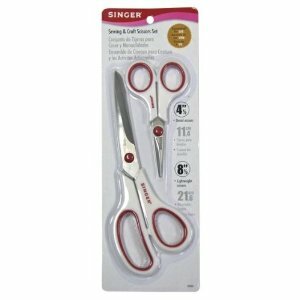 If not, a sturdy pair of stainless steel scissors is a must have for your crafting arsenal. I love to save everything. I keep favorite things my girls draw for me and awards they get. I think that the laminator is such an awesome way to preserve things. They are a lot less expensive then you would think and so useful. I even laminate yummy recipes from magazines so that I can set it on the counter while I'm cooking and simply wipe it off with a rag it it gets food on it without ruining the page. This also reduces clutter because I don't have to keep the entire magazine around for one or 2 good recipes. I'm not talking about a Cricut (even though I do have one and I love it) they are expensive and aren't really a necessity. I'm refering to the 12x12 inch board with the giant blade/handle on one side. 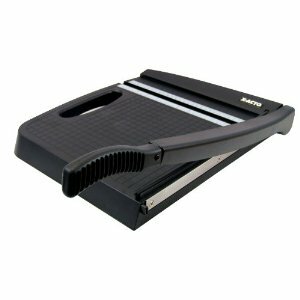 I can't cut a straight line to save my life so I use this thing for everything from coupons to sheets of pictures to craft paper. Labeling, decorating, you name it. I LOVE permanent markers. 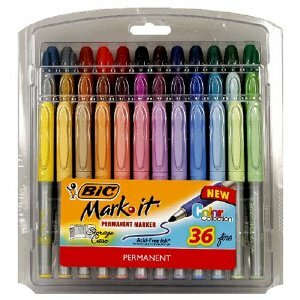 I have 2 of the huge variety packs with all the different colors. They are even awesome if you get a scuff on your shoes or your furniture. I find the color that matches the closest and just color it in. It works great and lasts. You can't even tell there were scratches from far away. 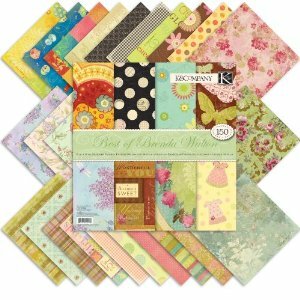 Scrapbook paper is not jsut for scrapbooking. I should know becasue it is only one of a short list of crafts that I don't mess with. I user scrabbook paper to make party decorations, homemade cards, charts for around the house and even paired with Mod Podge. It's super versitile. Paint brushes are great for painting *obviously* but they are also good for spreading glue when you want a low mess kids craft or Mod Podge. My girls like to go around the whole house with unused paint brushes and 'paint' everything for me. 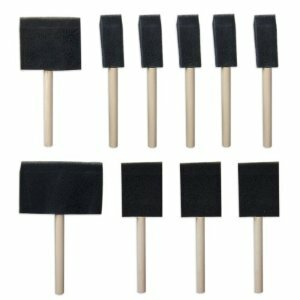 They are super inexpensive and great at smoothing fabric paint. Like I said before, I love making har bows, but there are a ton of other uses for Ribbon. I've used ribbon for present decorations, stringing up a homemade banner, decorating a craft project and sewing on accents. 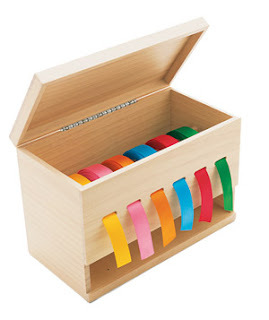 Ribbon can be paired with almost any medium because it comes in such a variety. Wired, Satin, Grosgrain, fabric, paper, the list goes on and on. Can you tell I'm in love with the stuff? There it is. 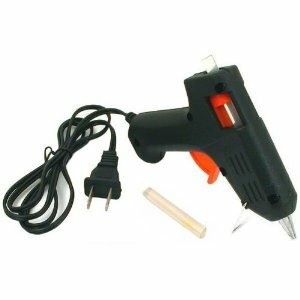 My 10 must have supplies for any Crafty Girl (or guy) i guess. I'm not trying to be picky. Great post! 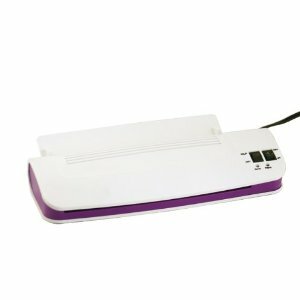 Never thought of getting a Laminator, that would be really useful. I've only had mine for about 6 months and now I can't live without it. I'm over from the Fun Fridays bloghop on Life with Twins and a Drama Queen, by the way. It would be fun if you could check out my blog too. It's http://madecbyme.blogspot.nl/ and you don't have to follow, do it only if you're interested. I'm going to add a page with some of my crafts soon, I'm still working on the photos. I'm a new follower that found you through Life with Twins & a Drama Queen. Oh yes, all 10 are must haves! Even though I don't consider myself a crafter at all, still I use each and every one!